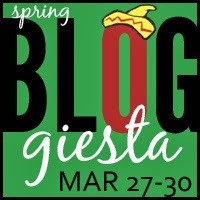 True Book Addict...True to Books: Spring Events Abound...Bloggiesta and Once Upon a Time and more...Oh My! Please notice the cat treat post associated with my Cat Thursday! Good luck with your Bloggiesta goals! And thanks for joining us for the Madame Bovary read-along! Look forward to hearing your initial thoughts on the book. Pooping in a box is better than getting wet when it rains!! Looks like you have a lot on your plate, so good luck! I need to update my reviews and books read pages, as I always seem to fall behind with those. Have fun! You have lots of goals with the readathons. How wonderful that you host them. I think the Spring into Horror really sounds fun!! I too am participating in Once Upon a Time. I need to make a post for it though ! Good luck with your goals. I had really planned to take advantage of the four days but then I got sick and lost two days. And I had so wanted to get that last item on your list done!